Longtime Congressman John Conyers Off Primary Ballot : The Two-Way A local election official says the Detroit Democrat, who has served in the U.S. House since 1965, failed to collect enough valid signatures. Michigan Rep. John Conyers on Capitol Hill last year. A local election official in Detroit says Conyers doesn't have enough signatures to appear on the August primary ballot. Rep. John Conyers of Detroit, who's served in the U.S. House for nearly five decades, has failed to collect enough valid signatures to appear on the Aug. 5 Democratic primary ballot, a local election official says. "Wayne County Clerk Cathy Garrett found that some campaign workers who gathered petition signatures to place Conyers on the primary ballot were not registered voters. "That violates state election law and could force Conyers to run an always-tough write-in campaign." "It is a very unfortunate circumstance that an issue with a circulator of a petition would disqualify the signature of valid registered voter," Garrett said in a statement cited by The Detroit Free Press. "Although I am not the final arbiter, I eagerly await the courts' review of the constitutionality of the laws and statutes pertaining to petition circulators." Garrett says her office found only 592 of the necessary 1,000 signatures are valid, according to Michigan Radio. John Pirich, an attorney for the Conyers campaign, said the circulators "were constructively registered. They filled out voter applications and turned them in through a third party at a voter registration fair." "What makes the predicament so astounding is that Conyers, an 84-year-old (he turns 85 on May 16) civil rights icon and a founder and dean of the Congressional Black Caucus, is following in the footsteps of a similar 2012 mishap by another Michigan congressman Thaddeus McCotter." "The current lapse has caused some Conyers watchers — who were already questioning whether the octogenarian was still up to the job — to call for him to retire. They point to what they say are signs that he's lost more than a few steps." 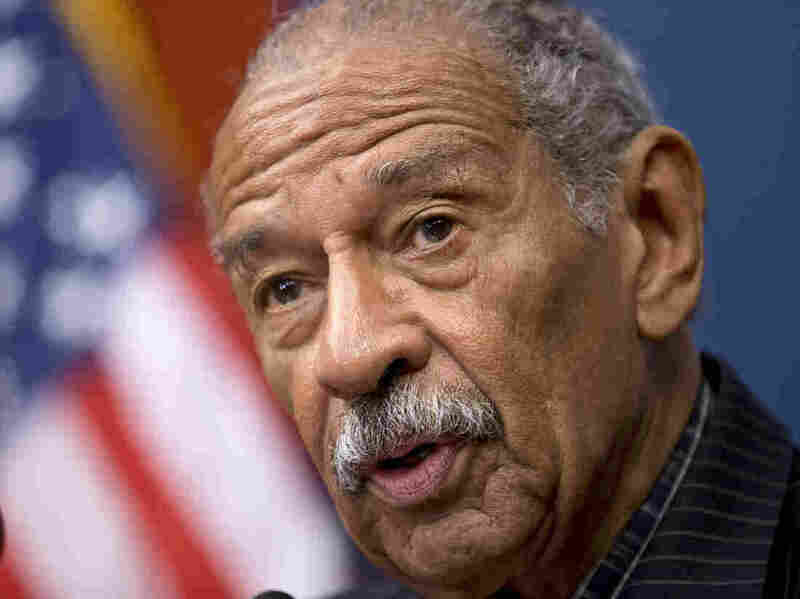 "Conyers has three days to appeal Garrett's ruling to the Michigan Secretary of State. "Federal court actions, meanwhile, are taking aim at the requirement that petition collectors be registered voters. The ACLU has filed suit to change state law. If neither happens, Conyers can run as a write-in. If he wins the primary as a write-in, he would qualify for the general election ballot." Conyers has served since 1965.